A bath salt that detoxifies the body and relaxes the mind. 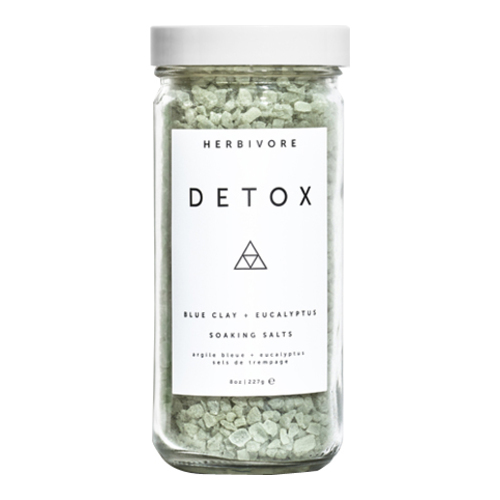 Detox Soaking Salts are formulated to detoxify your body and clear your mind. Naturally detoxifying Cambrian Blue Clay draws impurities from within your skin. A mineral rich base of Pacific Sea Salt is infused with calming Lavender and rejuvenating Eucalyptus oils for an aromatherapeutic soak. Add a handful of these salts to your bath to infuse the water with minerals, and your body with relaxation.